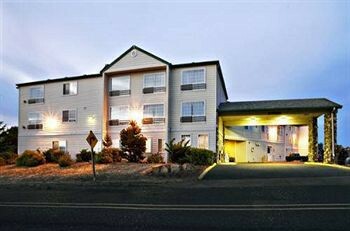 Property Location Located in Newport, Motel 6 Newport, OR is minutes from Rogue Ales Microbrewery and Oregon Coast Aquarium. This hotel is within close proximity of Hatfield Marine Science Center and Oregon State University Marine Science Center.Rooms Make yourself at home in one of the 51 guestrooms featuring refrigerators and microwaves. Complimentary wireless Internet access keeps you connected, and cable programming is available for your entertainment. Conveniences include desks, and irons/ironing boards can be requested.Rec, Spa, Premium Amenities Make use of convenient amenities, which include complimentary wireless Internet access and tour/ticket assistance.Business, Other Amenities Featured amenities include laundry facilities and an elevator (lift). Free self parking is available onsite.